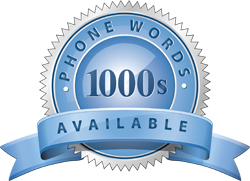 Now that a lot of people are relying more on their mobile phones, it’s important to provide contact details that can be easily remembered by anyone, and getting phone words for your business is one sure way to become memorable. Whether posted on billboards, on your website, or on your social media accounts, a memorable number can greatly help in making your business stand out, since these could be more eye-catching instead of displaying or giving a bunch of random numbers. There are three prefix numbers in Australia which you can have for your business, namely 13 or 1300 numbers and 1800 numbers, and when coupled with a memorable phone word, both can entice prospective customers in calling you for more information about your products or services; however, these two are different in terms of costs, and it would depend on the type of phone your target market would call from (e.g. landline, mobile, payphone). Getting a memorable 1800 number is preferred by businesses and even by callers themselves, because calls made to these numbers generally cost lower, or may not even cost anything at all. The cost of a call to an 1800 number made from a mobile phone would typically depend on how long the call was and calls made from landline or payphones are free of charge—this works to the advantage of your business. Moreover, a business with an 1800 number would appear more professional, since it would make callers think that you care about establishing a long-term relationship with them because you’re offering information regarding your brand for free. 1300 numbers would usually require callers to share costs with the business, and these costs would depend on where they would make the call from. There’s a fixed charge when people call from their landlines or through a payphone, but it’s rarely expensive. On the other hand, costs from calls made on mobile phones would usually depend on how long the call was, and these rates vary from one telephone company to the next. Some mobile phone plans, however, would add calls to these numbers in their monthly allowances, which is great for those who tend to make more or longer calls to 1300 numbers. Both numbers have their own advantages and disadvantages, and knowing them before going to companies such as 1300 EasyDial, which can offer help in creating effective 1800 numbers or 1300 numbers, can save you a lot of time.